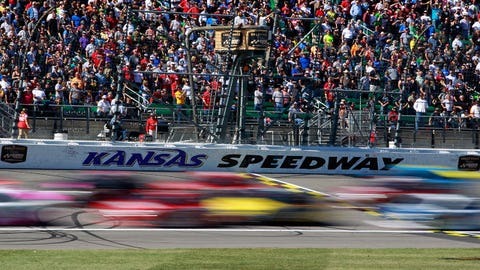 The second race of the Contender Round of the Chase for the Sprint Cup heads to Kansas Speedway for the Hollywood Casino 400. 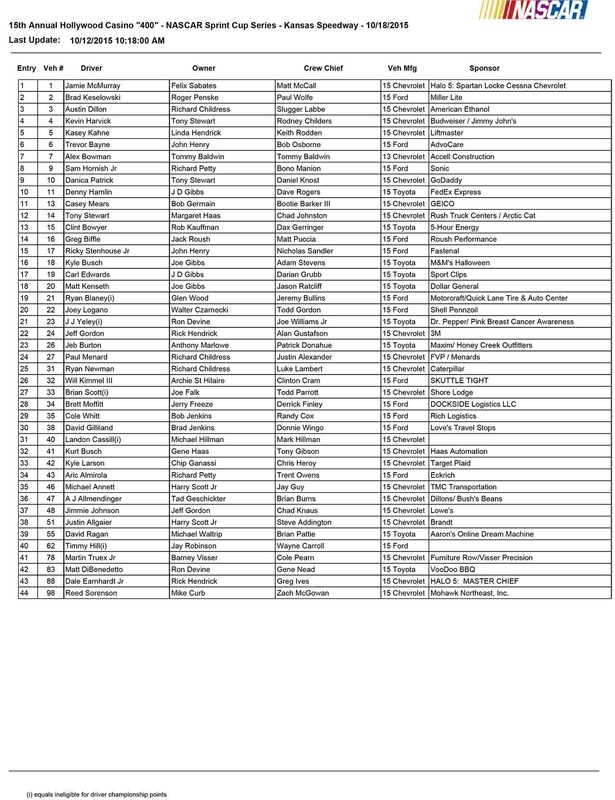 There are 44 teams on the preliminary entry list for Sunday’s Hollywood Casino 400 at Kansas Speedway, the second race of the Contender Round of the Chase for the Sprint Cup. Will Kimmel III will attempt to make his second NASCAR Sprint Cup Series start in the No. 32 Ford, while Ryan Blaney is back behind the wheel of the No. 21 Wood Brothers Racing Ford for the second straight week. With 44 cars on the entry list, one team will fail to make the race during Friday’s knockout qualifying session.